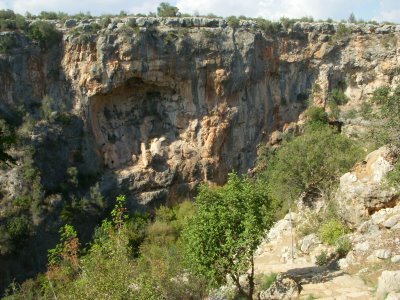 The Caves of Heaven and Hell. 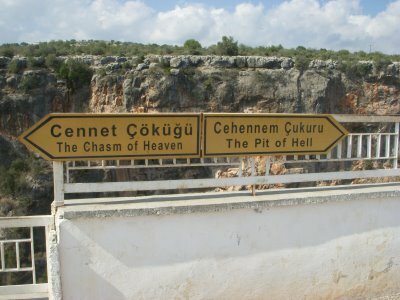 Taking a day trip from Silifke I decided to visit Heaven and Hell. How many of you knew that heaven and hell resided right here in Turkey? The sign shows the way, take your pick, choose wisely. Amazingly enough, heaven and hell is only 100 meters from one another. I’m surprised, I would of thought that Heaven and Hell should be at least a galaxy away from each other, but only 100 meters here in Turkey. 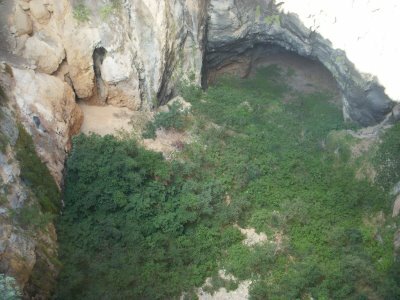 Hell is a little smaller than heaven (the two above pictures), and there is no access to the 128 meter sinkhole where one of the doors are located to the underworld, according to the legend. The legend tells the story that the Titan Typhon, half animal monster and half gigantic human, held Zeus captive in the cave of Heaven. Heaven in the pictures below, I am sure you are all surprised. During the battle of good and evil, Zeus slyly maneuvered the situation and won the battle against the titan. Zeus imprisoned Typhon in the cave of hell until he could bury Typhon under Mount Etan in Italy—exciting. Heaven is much brighter than hell and has a feel of the Garden of Eden until you get to the cave. 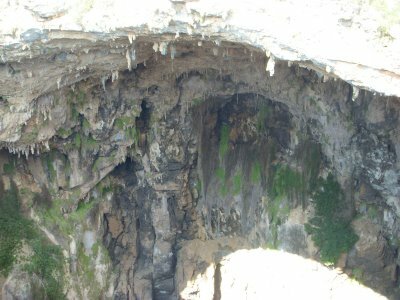 The cave is a little wet, dark, gloomy, a few bats flying around, and the power was off, although this cave is a place I was able to produce the best sounds from my Native American Flute. 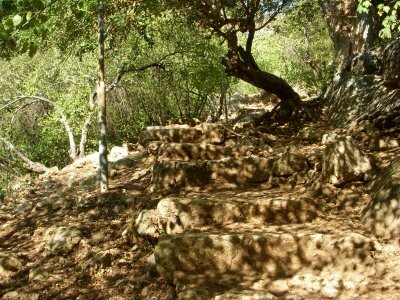 There are 450 steps down to the cave of Heaven. 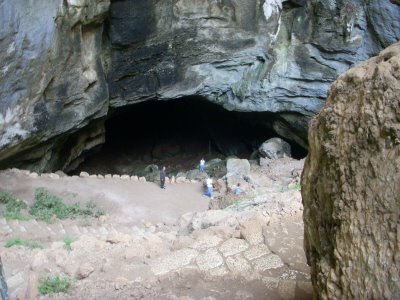 Near the entrance to the cave a church was built during the Byzantine era. 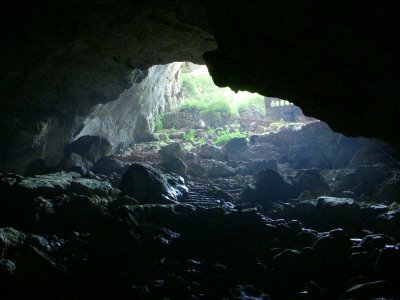 The cave is 250 meters long. When I was climbing up a person asked it is really heaven, I said yes, and he asked is it cold? I said yes very cold, although hell is warmer, LOL. Next post: The Cave of Asthma.